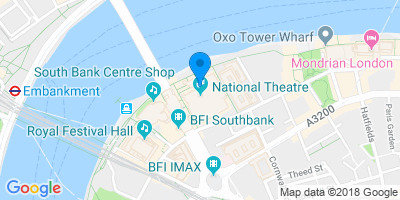 The magnificent National Theatre is your venue for a play from a playwright whose work has never been shown at the venue before. Introducing Eugene Ionesco, the rebellious French-Romanian playwright who was an important member of the infamous French Avant-garde theatre movement. 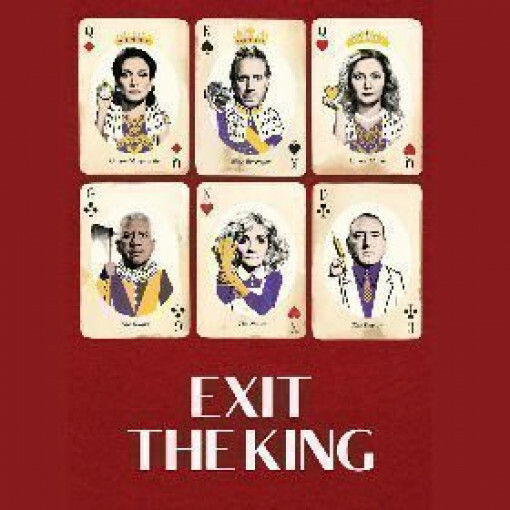 The work on offer is Exit The King, and the anticipation is mounting fast thanks to a glittering cast including the brilliant Rhys Ifans. The scene? Somewhere in Europe. A kingdom is disintegrating fast on the last day of the 400 year old King Bérenger’s life, and also coincidentally the last day of the universe. But the king is fighting death every inch of the way. His first queen, the elder Queen Marguerite, is pragmatic, busy making plans for the end. But the younger second queen, Marie, is in a state of horrified denial. This fantastically clever and fascinating 1962 tragi-comedy was originally called Le Roi se Meurt, and has been widely staged all around the world since it was first performed. It has appeared on Broadway with a Tony award-winning cast including Geoffrey Rush and Susan Sarandon, and it raised the rafters in 2014 at the Ustinov Studios in Bath. Now it's in the capital, set to delight thousands of serious theatre lovers. The prolific and hugely talented Patrick Marber has adapted the piece for the National, and directs the production at the Olivier theatre. Rhys Ifans plays an amazing part of the ruler who refuses to accept his own mortality and won't step down. Indira Varma, whose roles in Game of Thrones and Man and Superman sealed her excellent reputation, plays the first queen to perfection and a relatively new yet respected rising star – Amy Morgan - plays the second queen, Marie. This is a truly great tragi-comedy. The king, Berenger, is the hero of several Ionesco plays, a familiar character to his fans. When the ancient king finally accepts his mortality and the inevitability of death, he becomes so obsessed by his legacy that his friends, family and courtiers desert him one by one, finally leaving just the older queen to support him as he shuffles off this mortal coil. The play explores the power of endless love, but at the same time asks the audience to identify with the power-crazed king. It isn't a comfortable experience but it's actually known as Ionesco’s most conventional absurdist play. It reveals the fact that humanity's desire to live, and determination to wrest control of our universe, is pointless, as is life itself. How very cheerful... not! But seriously, this is a top class piece of work and it'll delight you if you like your theatre quirky.